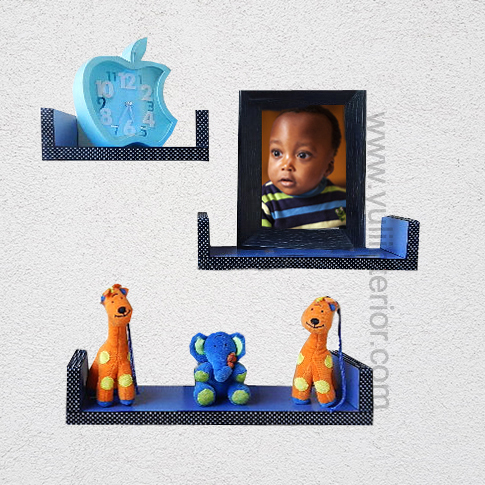 Versatile and modern floating shelves to store and display light items in your kid's room or play area. Items on Image sold seperately. 4"w x 8"l shelf 1. 4"w x 12"l Shelf 2. 4"w x 20 Shelf 3.